Ambassador Zalmay Khalilzad, US Special Representative for Afghanistan Reconciliation, meets with Pakistani Prime Minister Imran Khan on January 18 in Islamabad. [Press Information Department]. ISLAMABAD -- Zalmay Khalilzad, US Special Representative for Afghanistan Reconciliation, concluded a four-day visit to Pakistan on Sunday (January 20) as part of his latest tour to the region, aimed to support the peace process in Afghanistan. Khalilzad, who headed an inter-agency delegation, visited India, China, Afghanistan and Pakistan between January 8 and 21. He was to "meet with senior government officials in each country to facilitate an intra-Afghan political settlement," the US State Department said in a January 8 statement. The US envoy arrived in Islamabad January 17 to meet with the country's civilian and military leaders, including Prime Minister Imran Khan, Army Chief Gen. Qamar Javed Bajwa, Foreign Minister Shah Mehmood Qureshi and Foreign Secretary Tehmina Janjua, among others. Khan "reiterated Pakistan's commitment to facilitate the peace process in Afghanistan" in the meeting with Khalilzad, who briefed the prime minister on his recent visits in the region, Radio Pakistan reported. In a Twitter message on January 19, a spokesman for the Pakistani army said that the "visiting dignitary appreciated Pakistan's efforts for [the] Afghan peace process". Khalilzad "reiterated that peace in Afghanistan is vital to the long-term stability of Pakistan and the wider region," the US Embassy in Islamabad said in a statement on Monday (January 21). "He consulted with Pakistani leaders on how best to achieve a durable political settlement in Afghanistan," said the statement. "The main purpose of Khalilzad's visit this time to Pakistan was to push the Pakistani authorities to convince the Taliban to include Afghan officials in the peace process," Ihsanullah Tipu Mehsud, a Islamabad-based journalist who covers security issues, told Pakistan Forward. Mehsud added that Khalilzad has been tasked with bringing the Taliban, Pakistani authorities and the Afghan government on the same page. "He initiated a process of shuttle diplomacy by visiting the capitals of the concerned regional countries but particularly Islamabad, Kabul and Washington," he said. "Khalilzad is considered as acceptable to the Taliban as he is to the Afghan government because of his Afghan origin." On Monday (January 21), Khalilzad traveled to Doha, Qatar, where he reportedly met with the Taliban representatives. While Khalilzad's office has not confirmed the meeting, Zabihullah Mujahid, a Taliban spokesman, said the two sides engaged in talks, which will continue on Tuesday (January 22), VOA reported on Monday. Khalilzad's visit came shortly after a visit by Afghan officials to Pakistan to jump-start the peace efforts and increase Kabul's peace engagement with Islamabad. Umer Daudzai, Afghan President Ashraf Ghani's Special Envoy for Peace and Regional Consensus, led a four-member delegation to Pakistan from January 8-11, where they met with senior Pakistani government officials as well as political and religious leaders. 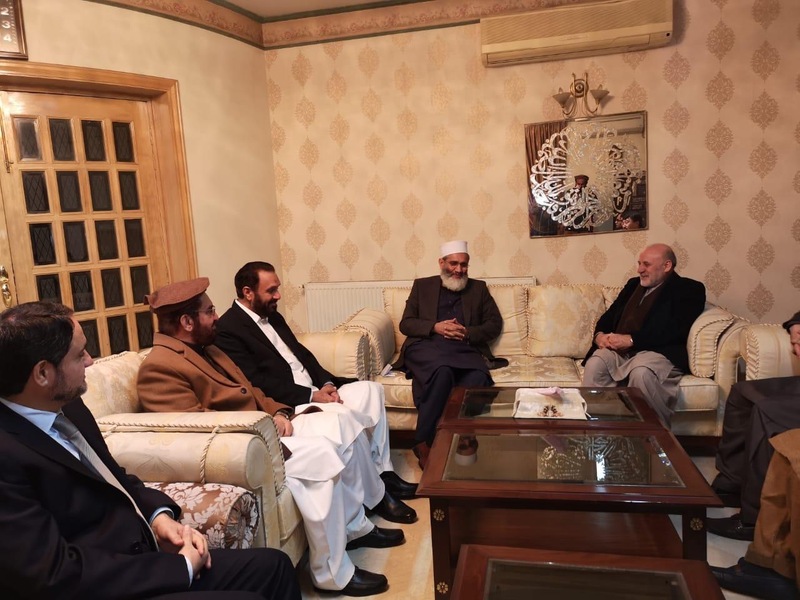 Pakistan's civilian government and security institutions are on the same page with respect to bringing peace to Afghanistan, which offers an appropriate setting for holding peace talks, Daudzai said during his visit to Pakistan. "Pakistan's attitude with regards to its western neighbour has changed in the context of current circumstances," he told BBC Urdu in a January 9 interview in Islamabad. "In the present, there is much evidence that Pakistan is playing a positive role in Afghan peace talks." Ahead of Khalilzad's visit, Pakistan arrested Hafiz Mohibullah in Peshawar, Khyber Pakhtunkhwa, a senior Afghan Taliban member, in an attempt to pressure the militant group to engage in negotiations, the BBC reported January 15. Mohibullah served as a religious affairs minister during the Taliban's regime of 1996 to 2001. Later on January 17, President Ghani telephoned Prime Minsiter Khan and discussed the peace efforts and Pakistan's support to facilitate it. Khan's office said in a statement that Ghani expressed his gratitude for Pakistan's "sincere facilitation" towards Afghan peace and reconciliation. Tracking the on-going peace efforts, Afghan analysts and elders are pleased with the progress and the momentum the visits have created. For the first time, all stakeholders -- both local or international -- are sitting together to find a political solution to end the insurgency and the war, said Haji Ahmad Sulaiman, a Jalalabad-based tribal elder involved in local peace efforts. "We have observed the visits of Daudzai and Khalilzad closely. This time, mutual respect, acceptance and a willingness to end terrorism in the region is clearly seen among all stakeholders," Sulaiman told Pakistan Forward. If US administration is sincere and committed to engage with the Taliban and Pakistan, the chances of peace, reconciliation and reconstruction of war ravaged Afghanistan are bright. The emphasis is on sincerity. The delegation expressed Afghanistan's desire to work closely with Pakistan on finding a political solution to peace with the Taliban.